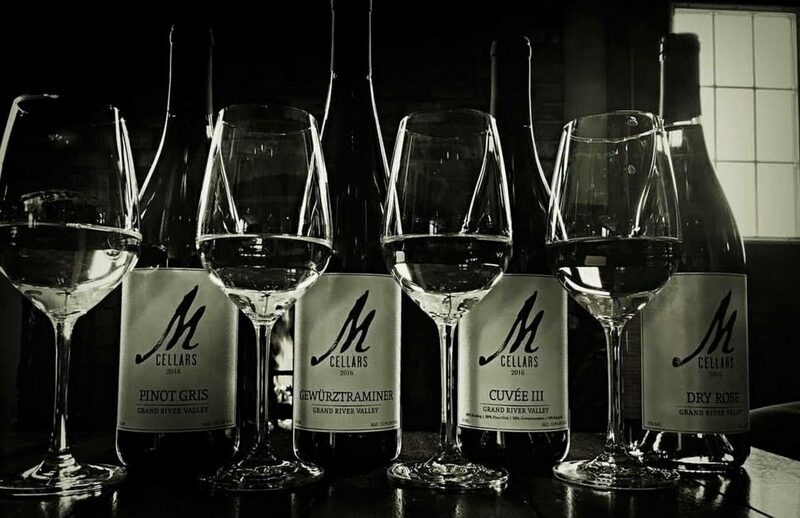 When visiting Geneva wineries, be sure to include M Cellars to the top of your list. This being one of the many wineries that stands out above the rest. Being one of the newer wineries (2012) this winery should not be left off your top five list. M Cellars offers a relaxing atmosphere with a tasting room that opens to a breathtaking view overlooking the vineyard. With an impressive variety of wines to choose from. M Cellars is best known for its estate wines that have been barrel aged; and their large selection of dry wines. The staff is knowledgeable, helpful and friendly. The owner’s Matt and Tara are always on site and willing to share their story and answer any questions. Occasionally when time permits they have given a tour of the production facilities in the cellar or the vineyard. They have a passion as well as a vision and M Cellars is proof of it all. M Cellars is a valued client of ADVAN Design. They receive, as with all our clients, the various benefits and advantages of our SEO packages. We want to help bring our clients to their highest potential; ADVAN Design’s SEO packages are designed to enhance online presence. We work to improve our clients’ Google Search visibility and presence on social media platforms such as Facebook, Twitter, Pinterest, and more! Learn more about the products of M Cellars on the ADVAN Design Blog.